Xiaomi Mi4 was officially launched in India back in Jan 2015 with a price tag of Rs. 19,999 but it was only 16GB model. During the Mi4 launch event in India there wasn’t enough information regarding the 64GB model, its price tag and release date. Now it’s official! A few hours back Mi India’s official Facebook page shared an image showing the 64 GB version of Xiaomi Mi4 with a price tag of Rs. 23,999 which is Rs. 4,000 more than the 16GB model. Tomorrow will be the first sale of Mi4 16GB model which is priced at Rs. 19,999. If there’s something we need to talk here is the OnePlus One. The Open sale for OnePlus One 64GB will be live tomorrow from 10AM onwards. Although there’s a 16GB version of OnePlus One, but it’s not released in India, it could be made available with a cheap price tag than the Mi4 16GB model. 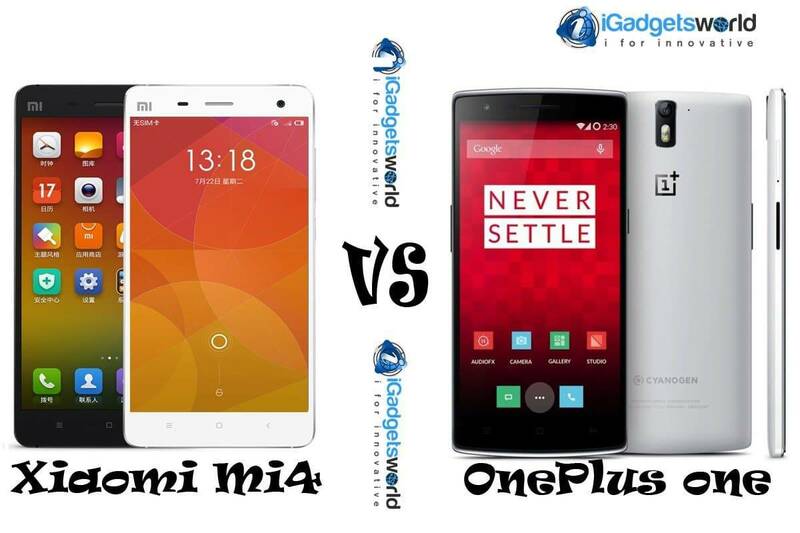 Most of the users tried to compare the OnePlus One (64GB) model with Xiaomi Mi4 (16GB) model resulting in a huge confusion. For the same 64GB model OnePlus One was tagged at a price of Rs. 21,999 and Xiaomi priced the 64GB variant of Mi4 at Rs. 23,999. During Mi4 launch event everyone expected that Mi4 will be priced lower than OnePlus One as Redmi 1s, Mi3 and Note are low-priced comparing to its competitors. But now comparing these prices OnePlus One is more affordable than Xiaomi Mi4. Even the Rs. 4,000 also matters for the Indian users. Globally Xiaomi made a good name for it’s best smartphones and the new startup OnePlus also trying to follow the same. As for Indian customers, Mi4 didn’t reached the expectations. Well, everything will be known from the first sale tomorrow. So there’s an Open sale for OnePlus One in Amazon India and the first flash sale of Xiaomi Mi4 in Flipkart. Coming to the 64GB variant of Mi4, its first sale will start from Feb 24th. we guess the registrations will be open tomorrow after the first sale of Mi4 (16GB).